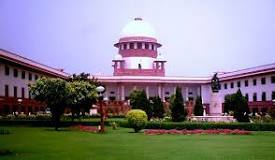 Supreme Court rebuked on Friday the Union Government on the issue of farmers committing suicide. Supreme court said the Union Government is not serious on the issue of farmers' suicide and imposed fine of Rs 25000. Supreme Court hearing the filed litigation by Youth Kamal Organisation stated such opinion. Actually, the court had said on 21 August that the government would submit clearing its concept within six weeks on reviewing the National Policy For Farmers. but the government did not filed any affidavit after passing of 2 month. it was imposed as the late fine. Supreme court granted time for 4 weeks more to the government to file the affidavit and has asked, " if the government is agreed upon the 190 points report of MS Swaminathan committee; why did the implementation delay?" The court was annoyed with the meetings of government panel constituted on the recommendations of committee. the court said, "while the matter is so serious; the government panel organized mere 5 meetings in the last 8 years." According to the stats of national crime record bureau, in the year 2013, the farmers committing suicide were 12000 and the death toll rose up-to 6000 in the year 2014. All were peasants.